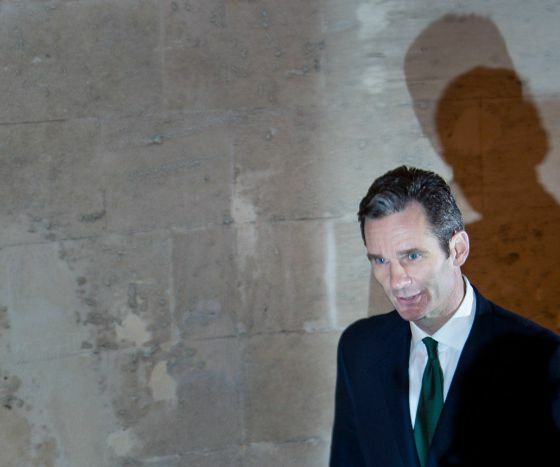 He spent nearly 23 hours being interrogated by a judge over a two-day stretch this past weekend but all Iñaki Urdangarin provided were evasive answers and blanket denials about his role in the non-profit Nóos Institute, according to a 42-page transcription of his testimony. Through it all, the son-in-law to King Juan Carlos blamed all the irregularities that occurred at the entity, including the possible diversion of public funds, on his former partner Diego Torres, who along with Urdangarin is indicted in the case. "I broke all ties with Torres when I go the feeling that the accounts weren't transparent," Urdangarin stated. "But I didn't turn him in because I decided to undertake other projects and I also didn't have the legal evidence that would make a complaint stick." The husband to princess Cristina said that Torres was responsible for all the billing and accounting at Nóos. Investigative Judge José Castro demanded that he be "more precise" after he denied any knowledge of any of the controversial bills that were brought before him during the closed-door session in court. "You would have to ask the person who was in charge of that," Urdangarin would say. One of the transactions involved a withdrawal of 147,800 euros from Nóos that Torres previously testified was to pay for services rendered by Urdangarin's real estate firm Aizoon. "Through Aizoon, I billed Nóos 550,000 euros in 2005, of which you have to subtract a bill for 147,800 euros that was never paid," Urdangarin explained. "I don't know why that bill was never paid. I found out through these proceedings [which was first made public last year]. "I understand Diego Torres and Ana María Tejeiro [Torres wife who worked a Nóos] pretended that they paid the bill but actually kept the money." When Horrach asked why he didn't demand the money, Urdangarin said that Torres "would steal" from him. The witness also denied allegations that he held accounts in Switzerland or any other offshore tax jurisdictions after the prosecutor show him a document concerning one Swiss account. Urdangarin's testimony concluded after midnight on Monday and the son-in-law and his wife returned later that day to Washington DC, where they live. On Wednesday sources at the Attorney General’s Office said that the anti-corruption prosecutors are against the indictment of Princes Cristina in the case being investigated at present.